This SDF has been developed at the municipal scale, though incorporates town scale and action area plans. 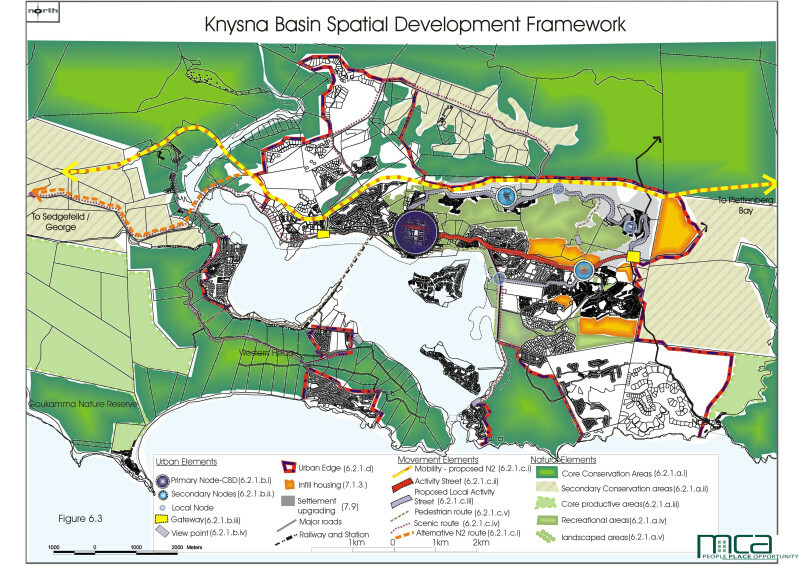 Based on ‘Smart Growth’ principles, the SDF has focussed on spatial interventions aimed at ensuring the future of Knysna as a key recreation and leisure hub within South Africa, as well as a town equitably for all residents. The Knysna SDF, similar to what is required for the West Coast SDF, required the updating and adding value to an existing (although not approved SDF).